Eyecue A/V may be a boutique company; but we are one with capable resources. We never respond to the ever-changing marketplace; we lead the charge! We take an empty room and transform it into whatever the client needs [it to be]. 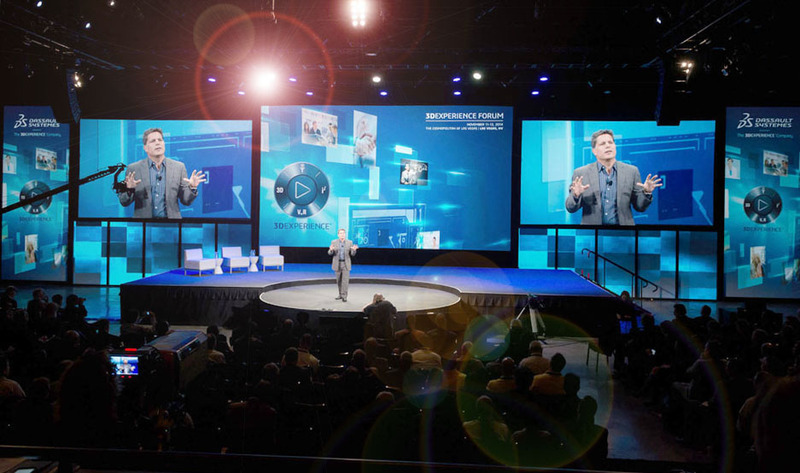 We use our mastery of technology — innovative video, lighting, projection and sound — to enhance the delivery of key messages. Every design we develop derives from the strategic objectives the client must achieve. We do that by creating immersive environments, ones that compel participation, that makes the audience feel they are on the inside part of the presentation. We understand the importance of using technology to package messages so every member of the audience remembers it tomorrow, the day after that, and next year. “I/We have partnered with Trent Chassay of Eyecue Audio Visual for over a decade and continue to be in awe of his vision to provide exceptional event creative and technical production year after year. The most recent task we awarded Eyecue was to design a clean, polished, yet versatile stage design. The design used projection mapping and was truly innovative and exceeded all of our expectations. Eyecue continues to have our trust when it comes to design and execution at the very highest level. Thank you Eyecue for being such a joy to work with, you all rock! !